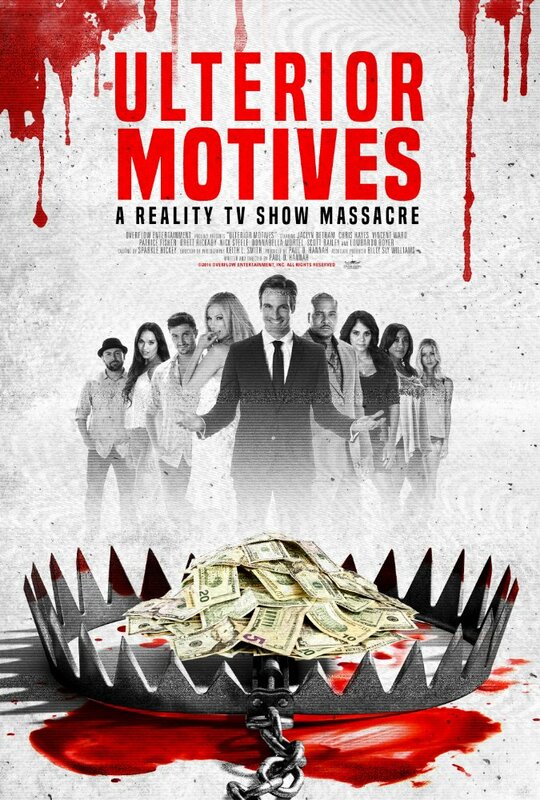 The film centers around the hit reality TV show, “Ulterior Motives,” which is streaming their reunion show live to TV and the internet for the world to see. All eight original contestants are trapped in a secret location for 24 hours as they try to take another stab at being the star of the show. They use every cutthroat method possible to standout from the others, literally. The network executives didn’t plan on streaming their live murders, or did they? No cellphones, no one around for miles and no way out. The film co-stars Jaclyn Betham, Patrice Fisher, Brett Rickaby, and Nick Steele.